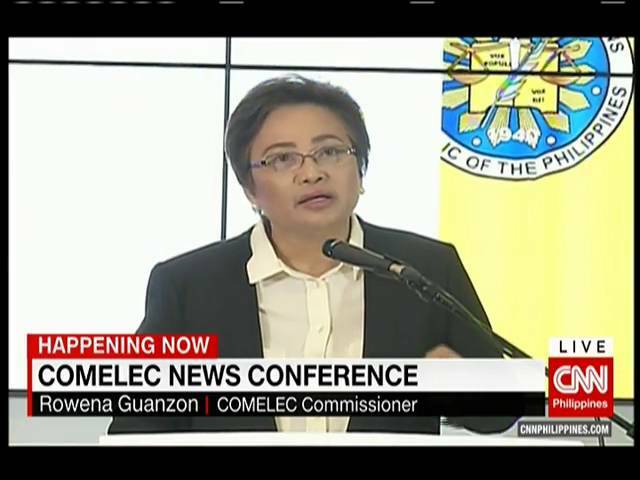 Commission on Elections (Comelec) Commissioner Rowena Guanzon on Thursday (May 12) called for an investigation of a protocol breach at the poll body’s transparency server in which a new script or computer command was introduced without prior permission from the poll body. A visibly irked Guanzon told a news conference on Friday the move by poll technology provider Smartmatic to make a “cosmetic change” to the software that runs the server which churns out results of the elections had “certainly some effects on credibility” of the elections. The Comelec commissioner apologized to the pubic and said they will continue to investigate the incident.